What’s new in WordPress 5? Did developers manage to release it within date they scheduled on the 3rd attempt? Yes, they did! WordPress 5 was released on 6th of December (finally!). That’s why we’d like to show you a little sneak peek of our very first Gutenberg theme. Let’s have a look. Or you can read this article where you can find closer details about how Gutenberg editor works. In June, the WordCamp Europe 2018 (WCEU) conference was held, where news related to Gutenberg WordPress editor were expected to be introduced. Therefore the key speaker of the event was the co-founder of WordPress, Matt Mullenweg, who announced an ambitious plan for the further development of Gutenberg in the next few months. Mullenweg said his goal is to extend Gutenberg to as many pages as possible before the WordPress 5.0 release date. For this reason, testing by the WordPress.com community is continuously under way. Feedback from developers and agencies is valuable data and base for improvements of the editor prior to its official launch on the market. It is possible to try it out even now – according to wordpress.org, Gutenberg editor is already installed and actively used on more than 14.000+ WordPress websites. What does the arrival of Gutenberg and WordPress 5 release mean for you? The WCEU has also set out a roadmap for further progress in Gutenberg development. In July 2018, version 4.9.x was expected. There should be one significant change – while currently wp-admin users have option to opt-in for Gutenberg, later Gutenberg will be incorporated into the WordPress core itself and thus enabled by default. The opt-out will be possible by installing a plugin that will return the original WYSIWYG editor into admin interface. All critical issues should be solved in August, and Gutenberg WordPress editor should appear as part of Calypso admin interface (on WordPress.com). However, the most important message from Gutenberg roadmap was that the WordPress 5.0 release is expected in August. Many developers are a bit skeptical about this timing as according to Mullenweg, there are currently more that 1700 issues open, which is definitely not a negligible number. Skepticism of these developers was legitimate because we’re now in a half of October and it doesn’t seem that WordPress 5 is coming out early. What do we think about Gutenberg WordPress editor? And what will the new WordPress 5.0 look like? Mainly developers are awaiting the official WordPress Gutenberg launch. This rich content editor should ensure backward content and Mark-up compatibility, but it’s questionable how developers will deal with the compatibility of their themes, plugins or third-party Page Builders. And if they ever get into changing the “old” WordPress themes. Gutenberg was basically created as a response of WordPress to the current trend of Page Builders. That’s why its creators are working hard to reach the features of the best ones. However, the process of implementing new features will take some time. Some authors of the premium WordPress themes have a negative view on Gutenberg editor. They consider it a competitor to their own, custom-made Page Builders. This is because there is a huge amount of work behind these Page Builders. Custom Page Builders become redundant once Gutenberg editor arrives. But it is not necessary to look at it as an imminent threat. So far, Gutenberg lags far behind most of the most used Page Builders. 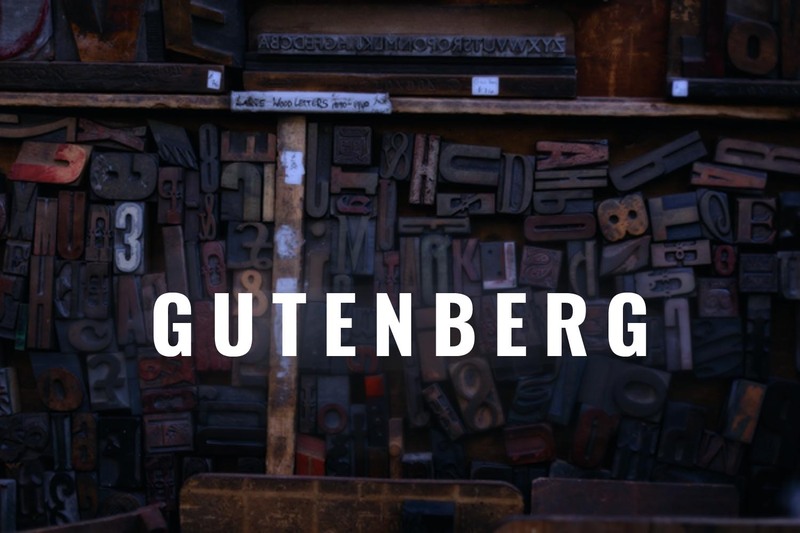 If someone asks what is Gutenberg in connection with WordPress, there’s a simple answer. It’s a future content editor in wp-admin. New Gutenberg replaces the original WYSIWYG editor in WordPress, and sooner or later it will be the preferred editor in all WordPress themes. It will provide much more functionality than WYSIWYG itself, so in most cases it will no longer be necessary to install another Page Builder. Thanks to Gutenberg, the use of content editors will be unified. Users will save on the fees for the third-party Page Builders. But it is unclear what prices will template developers set for their Gutenberg themes. Gutenberg editor automates work with blocks. Once a certain content type is created, it can be repeatedly used across the entire website. This way, you can set up different templates with a predefined layout of individual blocks. At the same time, each change in a given block will trigger the automatic update of content wherever that block is used. The best feature of Gutenberg WordPress editor according to Matt Mullenweg is the support of copy & paste functionality. Thanks to this you can copy any content from a variety of sources (like Google Docs, Microsoft Word, Evernote etc.) 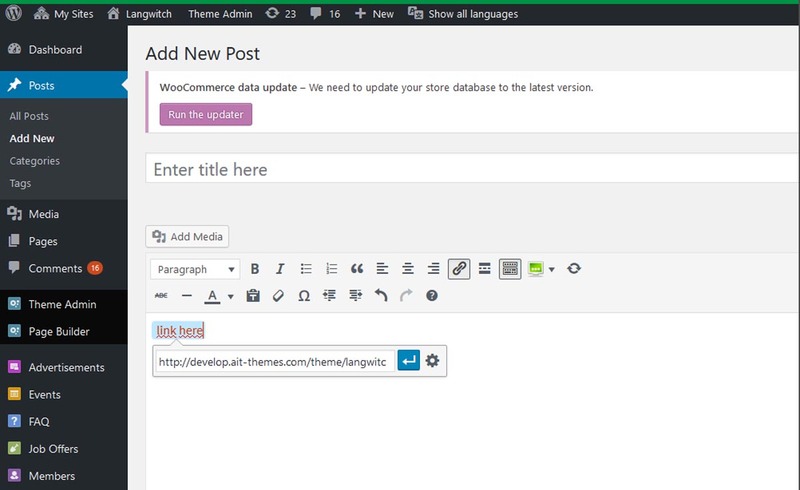 and paste it directly to the content editor without the previous formatting spoiling the appearance of the WordPress website. Copying of URL links should also work automatically – not as is the case now when the link needs to be copied into clipboard, text for the link highlighted, URL added and finally submitted for the link to become active. Gutenberg editor brings a whole new view on content building within Pages and Posts and according to the WordPress community, it can be a real revolution for WordPress websites and rich content editing. After the WCEU conference, it was clear that Gutenberg’s developers had an ambitious plan for its official launch in August 2018 (although no exact date has been set). But after Summer, they changed deadlines many times. Now is WordPress 5.0 available with Gutenberg editor for all users and it’s set as default content editor. One of some great news we have is, that all our 70 WordPress Themes (business and also all directory themes) will be fully compatible with upcoming WordPress 5.0 and Gutenberg editor. But what is better than 100% compatibility? At this moment we develop a brand new theme using Gutenberg’s block-based system to bring our customers the 1st Gutenberg theme asap. Read the following article about progress in work within Gutenberg theme and specific details of its features! Wann war denn der Release des Themes? thanks for asking. We are sorry, we have no exact date when our products should be updated, anyhow we are hardly working on it. Once we release the new version we’ll provide our subscribers with info about nit via email. Everyone is talking about new editor but are other measor features in WordPress 5.0? Other than that, minor changes and bug fixes are only being looked at on a case-by-case basis. We are waiting for the latest version of the great WordPress and its latest editor – Gutenberg. we are hardly working on brand new template “Gutenberg”, please stay tuned 😉 .